I was recently contacted by Minerva Crafts and asked if I would like to review some products from their website. I eagerly accepted, what a luxury to be able to choose something just for myself! It's been niggling away at me that I really wanted to learn how to crochet, and yet I just couldn't get the hang of it. So I thought I'd have a go at this DMC Amigurumis crochet kit, clearly labelled 'Easy'. The box contains everything that you need to crochet a selection of fruits and vegetables, with clear written instructions and some photographs. The children love play food, so I thought that the finished products would be great for them to add to their toy kitchen. I've used lots of DMC cross stitch products before so I know that they are a good brand, and the quality of the yarn provided, Natura Just Cotton, seems excellent. I'll admit that I'm not brave enough to actually make a start on the kit yet without my Mum next to me making sure I know what I'm doing, so I will update when (thinking positively here) I actually complete something. I also ordered some craft felt. I get through a lot of felt as I'm always using it to make things, and I have a new project in mind which is going to need lots of different colours. I prefer more muted shades so I went for a pastel selection. It's good quality, and a nice selection of shades. 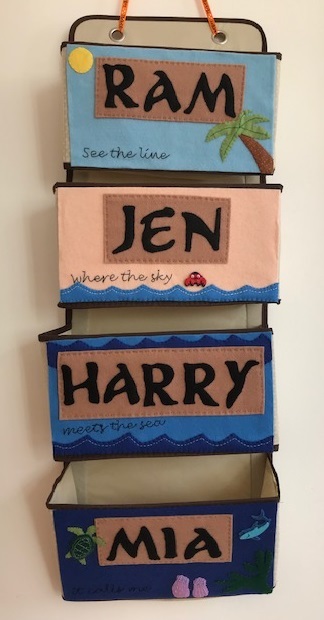 I was very impressed by the range on the website, and would certainly recommend Minerva Crafts if you are looking to make some crafty purchases. I was sent these products in exchange for a review.